This stunning engagement ring features ten channel-set round diamonds, at approximately .18 carat total weight. Each diamond has been hand-matched for sparkle and brilliance. 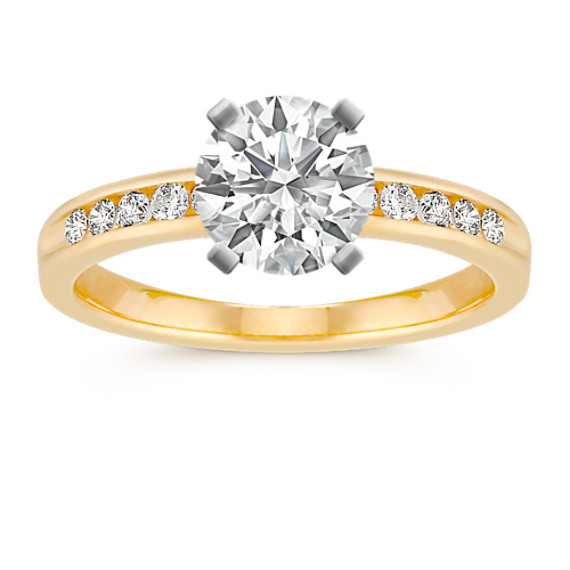 This dazzling ring is crafted from quality 14 karat yellow gold. Honestly, this is not a style I ever would have picked out for myself. But now that it's on my hand I realize my fiancé knows me better than I know myself! I am obsessed with my ShaneCo classic!